Being on the water is our all-time favourite thing in the world. But, sometimes, hours at sea sitting on the same bare bones chair can be, well, downright uncomfortable. In the spirit of making life easier for you (and us), we’ve blogged our top 5 tips for a more comfortable sailing life. This is especially true for anyone sick of struggling to hop from a wobbly jetty onto an unstable boat. The good news? You. Don’t. Have. To. Buy a ramp or gang plank to make life easier. Just make sure it’s sturdy, with a good tread so your shoes or feet have grip when you’re walking it. If you often use the same jetty to launch, you may want to install points where you can anchor the ramp. It’s fairly easy to do (especially if you hire someone to install it!). If you need wheel chair access, buy a wider ramp made for this purpose. However, getting onboard on wheels can be tricky, so consider investing in a purpose-built hoist, which will lift the wheelchair safely onto your boat. Forget sweating it out with a lousy manual crank. Invest in an electric winch and save yourself the energy. Yes, they’re a little expensive (ranging in price from $119 to $649), but you’re likely to realise the benefits almost immediately, especially after an epic day at sea. Whitworths Marine1 is just one place you can pick up an electric winch, but you can compare prices and brands with BCF and your other usual boating stores. Modifying your trailer shouldn’t be difficult. We recommend speaking with a marine tradie who can do the job right. If you don’t know one, ask around at your local sailing club or check out reviews online. Okay, we’re not advocating lavish velvet seats, but why not get comfortable seating installed for long (or short!) days on the water? Yes, minimal seating is practical. But, it’s uncomfortable after even a short stint onboard. See if you can buy new or pre-loved swiveling seats, which are perfect for fishing, since you can twist when you need to. Bolt them in and off you go! If you don’t want to spend an arm and a leg, buy cockpit cushions instead. Handrails provide additional stability and of course, security. They’re also much safer for younger humans, if you have them onboard too. You can mount fishing rods to them, use them to store oars, hold drinks or secure electronic equipment. We recommend installing rails on the fore and aft decks, and anywhere where steps will be used. Having a floor that is level will make it far easier to move around your boat, especially when it gets choppy. You have a few options. Install level flooring, so your floor is on one level. If you can’t do this, install carpet or paint the floor with anti-slip paint. At the very least, carpet or anti-slip paint will make a big difference to your stability. If you’re out on the water, it makes sense to get comprehensive cover that will be there for you if you ever do need it. 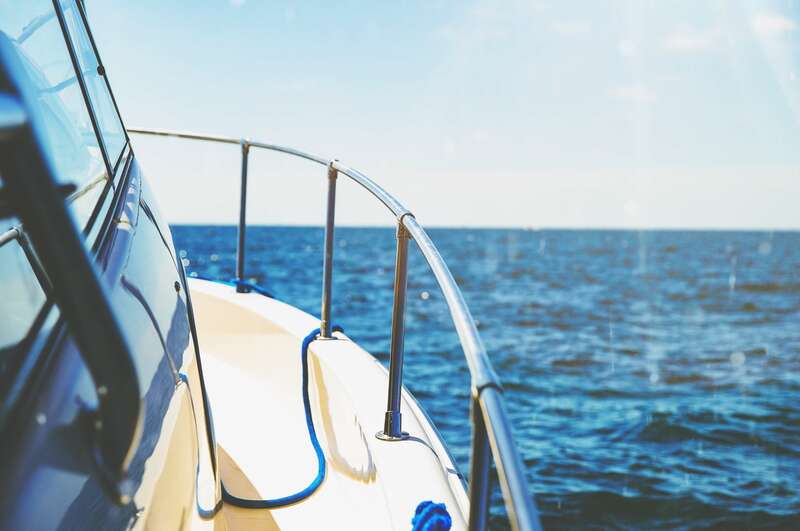 We’ve been supporting Aussie boaties for more than 20 years, and take pride in ensuring our clients are properly covered, without breaking the bank. Contact us for an obligation free quote, and happy boating!